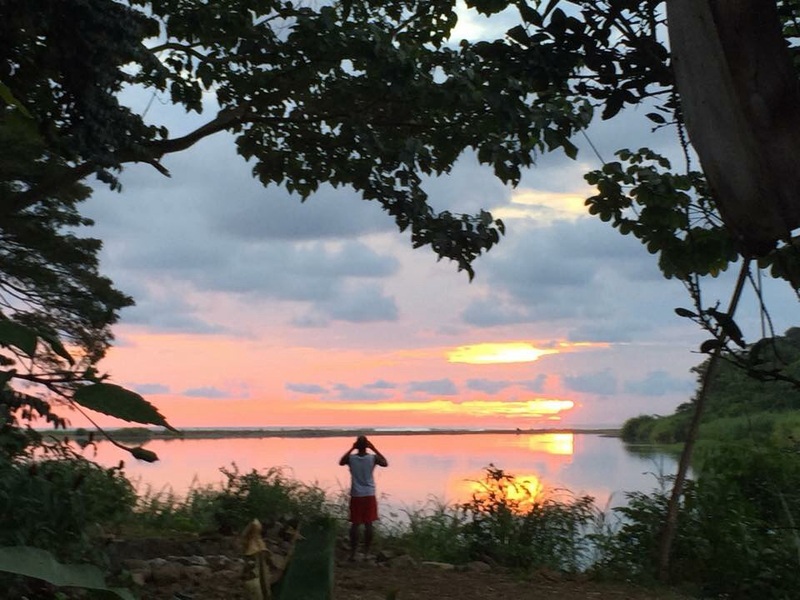 From Lago Ometepe in Nicaragua, Costa Rica can be reached by an over night ferry to San Carlos and a short boat ride across the river San Juan to Los Chile in Costa Rica. 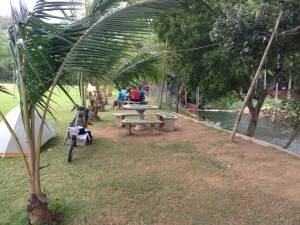 This turned out to be a fun experience, I particularly liked the San Juan river, seemed like a good one to go a canoe. As soon as I crossed the border things were quite different. 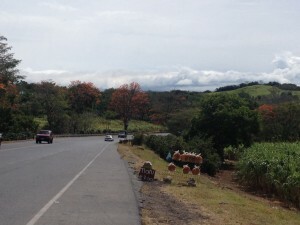 Costa Rica was lush green, good roads and better quality of food. I had a welcome rain in Costa Rica within 30 minutes of crossing, but luckily I had a Warmshowers host where I cleaned the dirt off my bike. 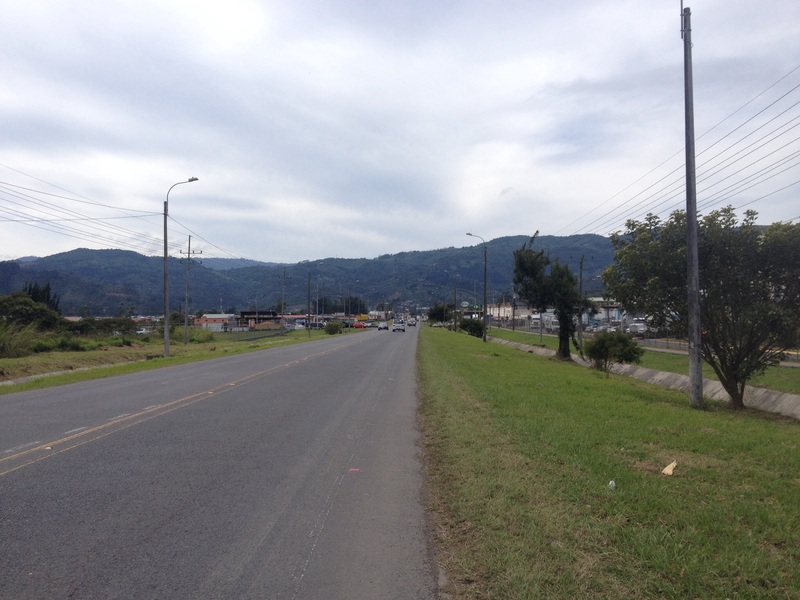 There was a 1200 metres high mountain to be crossed to reach San Jose. 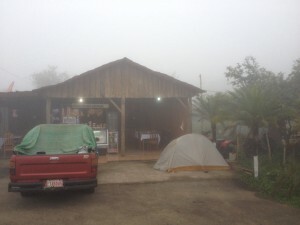 The fog on the top of the mountain was heavy and visibility was poor so I decided to camp out in front of a restaurant for the night. 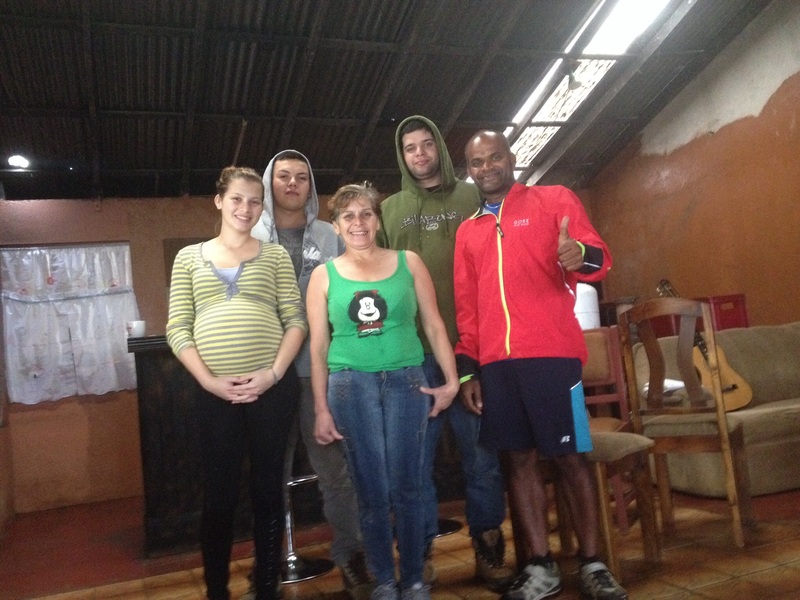 The Varela family who ran the restaurant made me coffee and breakfast in the morning and in spite of working from early in the morning to late in the evening they all seem to be happy. 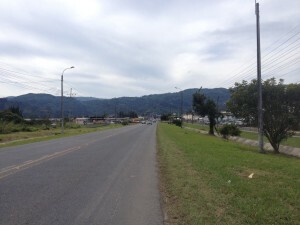 San Jose was just another big city in Central America, I did not find anything particularly interesting. After San Jose I had a choice to stay on the mountains for few more days or take the coastal route. 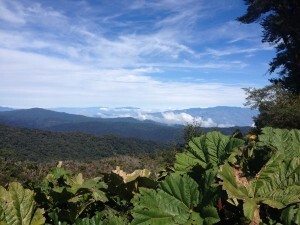 I chose the mountain route even though I had to climb 3370 metres (Cerro de la Muerte). This indeed turned out to be a good choice. The mountain road did not have much traffic and the scenery was awesome. It was about 80 Km’s climb to the top which I did it over two days. On the first day, I climbed up to 2500 metres and camped in a hotel yard; they were happy for me to camp since I ate dinner at their restaurant. The weather was cooler and the mountains reminded me of swiss Alps. The second day I reached the top around 11 am and then it was the much anticipated 45 Km’s non-stop downhill ride from 3370 metres to about 600 metres, one full hour of gravity-assisted-no-pedal riding at almost 50 kilometre per hour speed most of the way, it is quite hard to describe this experience in few words. After reaching San Isidro de General I had a 400 metres climb back up before descending again to sea level over another 15 kilometres. Perhaps it was too much downhill riding for a single day; I had a close call. In one of the sharp corners, I was too far out and could not get back to my lane quickly and there was a truck in front of me in the opposite lane, both of us were beyond breaking point and collision was imminent. I let the bike go across the road and crashed in the bushes. This picture is quite vivid in my mind, I don’t think I will ever forget this. Amazingly, there was not much damage, my bike handle bar got twisted and I had few scratches on my legs nothing more. I was dreading some greater damage to my bike. 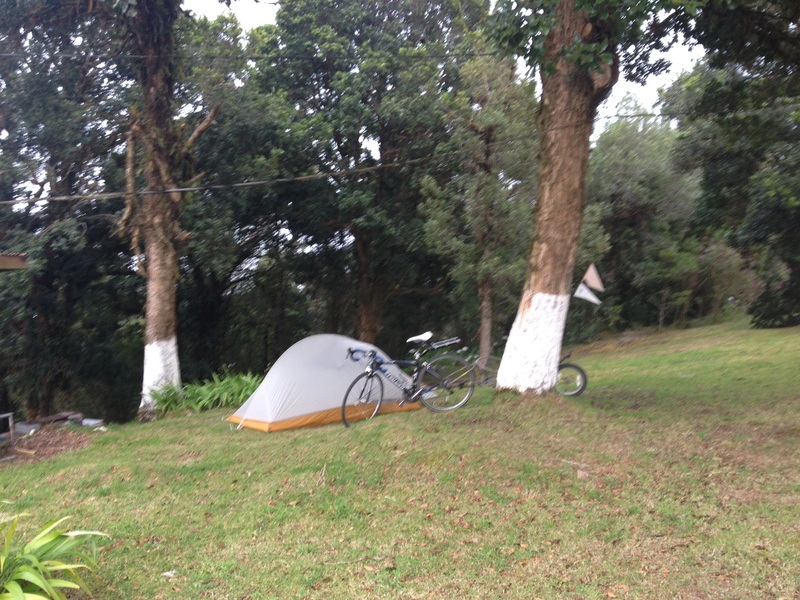 I managed to cycle another 10 Km’s after the incident to reach Playa Dominical where I stayed in a church. 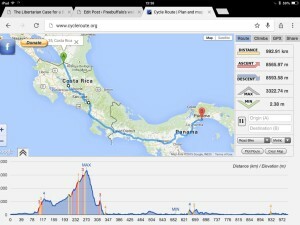 I rode for two more days along the coast of Costa Rica before crossing into Panama. I enjoyed Costa Rica for its dense vegetation, rivers, warm weather, good quality food and happy people. The only downside was the cost, it was expensive compared to its neighbours. Costa Rica felt like the Switzerland of Central America. Costa Ricans are quite proud of their coffee, quite rightfully I think. 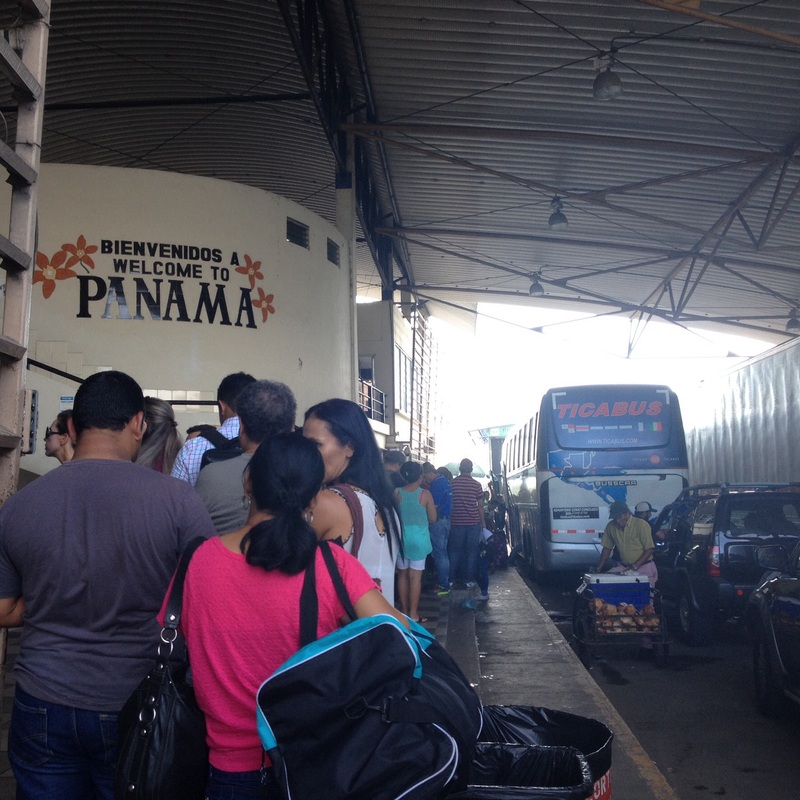 Costa Rica-Panama border crossing was straight forward but the queue was long; it took be about 75 minutes. After border crossing, I stayed with a lovely expat couple Joe and Kristine in the city of David in Panama who lived just 2 minutes from a river. This was a brilliant place to cool off considering the 30 degree C heat during daytime. I took a day off here to rest. 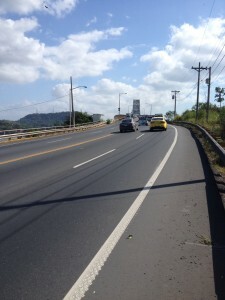 Several cyclists and my Warmshowers hosts warned me about the highway construction work in Panama between David and Santiago. So I decided to skip about 200 Km’s and arrived in Santiago de Verahaus by a bus. 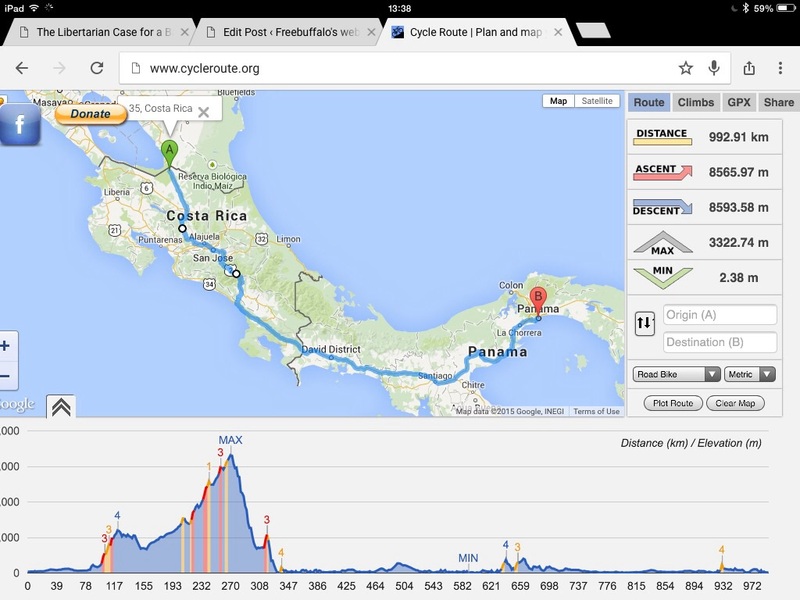 From here it was three days riding to Panama City, the capital of Panama. 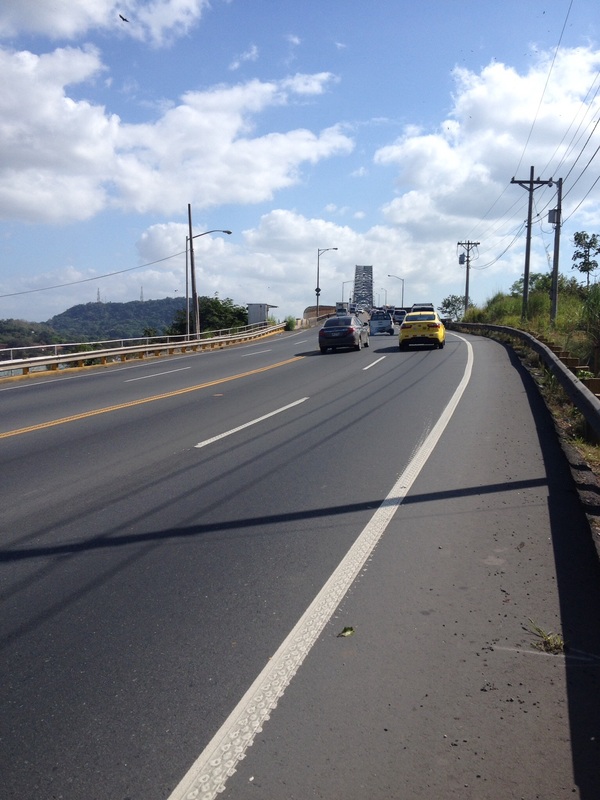 Riding on the bridge across tho Panama Canal was exciting, the heavy traffic only adds to the excitement. 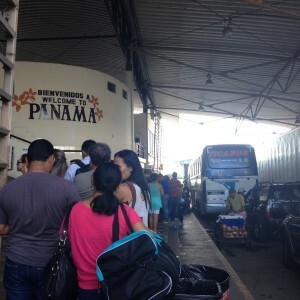 I am now south of the canal and I plan to traverse 70 kilometres to the city of Colon on the Caribbean side where I will catch the ferry to Colombia. 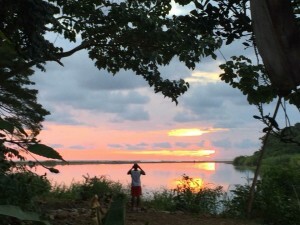 My journey in Central America will end soon, but there is something exciting to look forward to: South America! 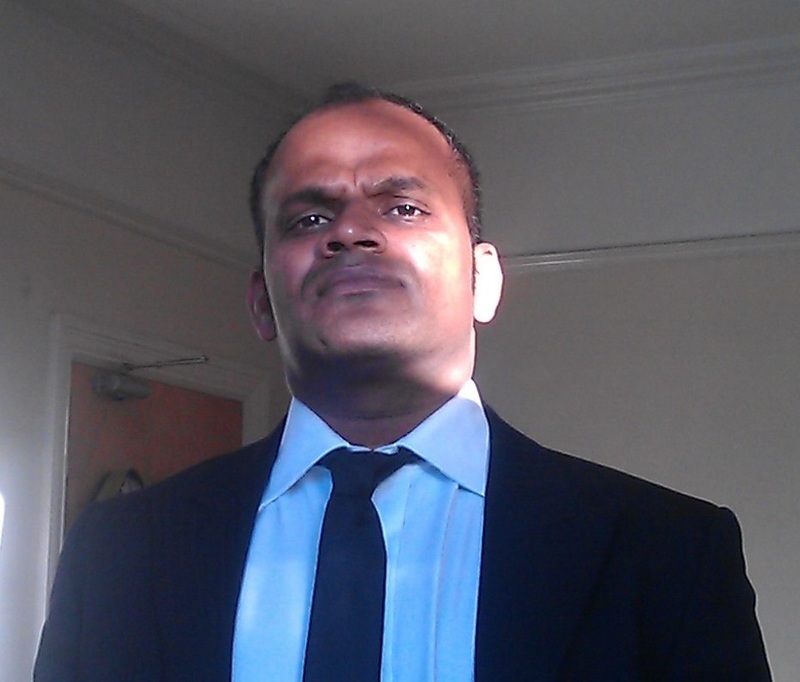 Hey Bala – That was quite a ride for you… up and down and almost under a truck! Be safe buddy. Beautiful pictures of nature there – and to be living it is priceless! Awaiting your tales of the South. glad to hear of your progress. I admire your journey. Good job. Wow, what a climb and downhill! Indeed, watch those lanes! Enjoy Colombia punk!